Per seller discripton: "1975 Golden Globe Winning Actor wire photo." Original upload has reverse image. Alan Arikin is an Academy Award winning actor, director and musician best known for his roles in films such as The Russians Are Coming, the Russians Are Coming, Edward Scissorhands, Little Miss Sunshine and Argo. He won an Academy Award for Best Supporting Actor for playing Edwin Hoover in the 2006 film Little Miss Sunshine. He began his career in showbiz playing guitar and singing in the band The Tarriers. His first screen appearance was in the 1966 film The Russians Are Coming, the Russians Are Coming, for which he received an Academy Award nomination for Best Actor. From 1955 to 1961 he was married to Jeremy Yaffe and had two sons with her. His second marriage was to Barbara Dana. They had a son together in 1967. He married his third wife Susanne Newlander in 1996. 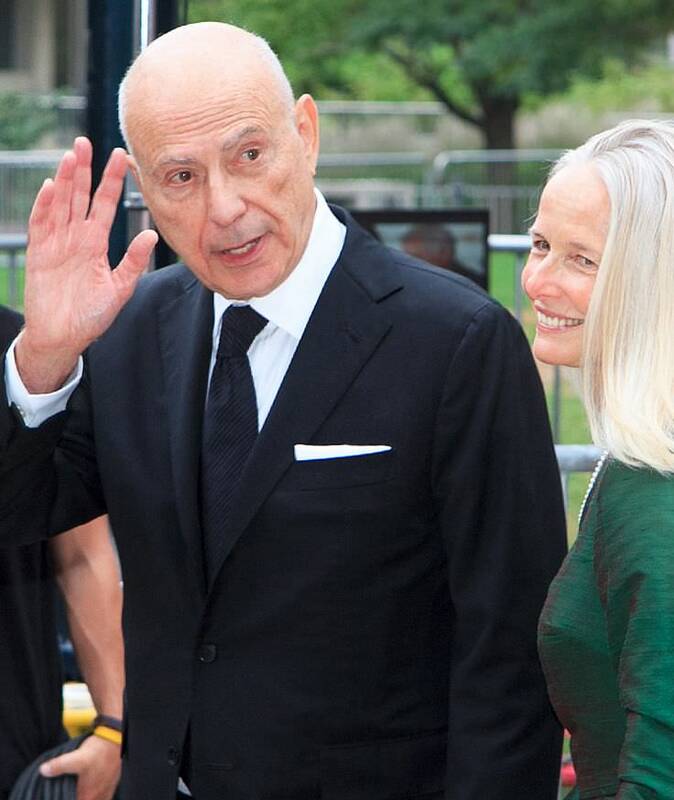 Alan Arkin with his wife Suzanne Newlander at the 2012 Toronto International Film Festival. Publicity photo of Alan Arkin as Simas Kudirka & Shirley Knight as his wife. TV special, "Defection of Simas Kudirka" (1978). Copyright found for film only, nothing for photos, which require separate copyright. Alan Arkin is a famous American actor, who was born on March 26, 1934. As a person born on this date, Alan Arkin is listed in our database as the 5th most popular celebrity for the day (March 26) and the 6th most popular for the year (1934). People born on March 26 fall under the Zodiac sign of Aries, the Ram. Alan Arkin is the 107th most popular Aries. Aside from information specific to Alan Arkin's birthday, Alan Arkin is the 652nd most famous American and ranks 722nd in famous people born in New York City, New York, U.S. In general, Alan Arkin ranks as the 1109th most popular famous person, and the 237th most popular actor of all time. “The Famous Birthdays” catalogs over 25,000 famous people, everyone from actors to singers to scientists to serial killers and more. If you're curious to see who was born on your birthday, you can use our database to find out who, what, where, when and why. You can search by birthday, birthplace, claim to fame or any other information by typing in the search box, or simply browse our site by selecting the month, the day, the horoscope, or any other clickable option. 722nd born in New York City, New York, U.S.